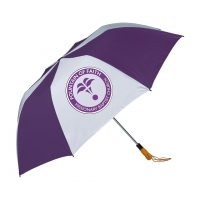 Fundraiser: Pastoral Care Ministry members are taking orders for umbrellas. This is no ordinary umbrella. Affixed to the umbrella is the church logo that says “Follow Me to the Fountain.” Members and friends may pre-order your umbrella for a small donation of $20. All proceeds after cost will be donated to the church building fund. Members of Pastoral Care Ministry will be in the foyer following both services. As always we thank you for your support.